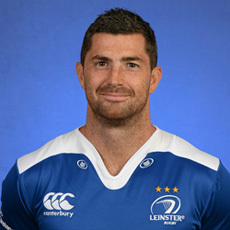 From the bottom of the ruck: Leinster and Connacht for the wins this weekend! Leinster and Connacht for the wins this weekend! The big match of the weekend from an Irish point of view will be Connacht v Munster, with a sell out crowd – in context, that’s a few hundred lees than went to the Saracens v Northampton Champions cup semi final. The West is booming! There shouldn’t be too many surprises in team selection for the match, although it would be abig boost for Connacht to have ~Jack Carty back. Amazingly, Connacht are favourites, a form team at home. Pat Lam has them brimming with confidence, and coaches them to play attractive rugby, good forwards, and backs always willing to run. Munster are trying to play the Munster style I guess under Anthony Foley, which is a forwards based game, with the backs taking advantage in broken field play. If the Munster forwards don’t get an upper hand, Connacht are going to win this, and I think they probably will. Connacht have it all to do in Grenoble! Wow am I grumpy, even if Leinster did win!